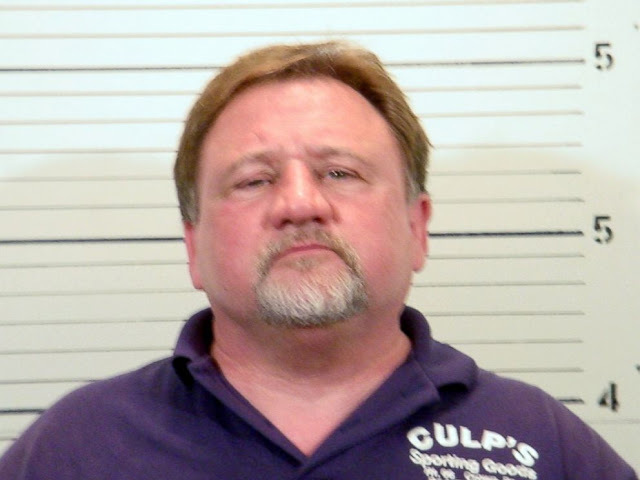 Target Liberty: Why are There Two Separate Five Foot Markers Behind the Mug Shot of the Alexandria-Republican Shooter? Why are There Two Separate Five Foot Markers Behind the Mug Shot of the Alexandria-Republican Shooter? ABC News is running this mug shot of James Hodgkins, the shooter who shot up the Republican baseball practice in Arlington, Virginia on Wednesday. Some are raising the question of why the photo shows two different 5-foot marks. The undated mug shot of Hodgkins was taken by the St. Clair County. IL Sheriff's Department. He had a record of various petty offenses. I spoke to a booking officer at the Department and he tells me that the background where the mug shots are taken by the Department has separate markers at the five-foot level and the five and 1/2 foot level and he surmised that the 1/2 foot indicator was cropped out of the photo. yeah that makes sense. there is a small mark behind the top 5 , same as next to the 4. There are 6 tick marks between the first 5 and the second. The first thing I did was analyze the details of the picture. Apparently a whole lot of people lack some very basic logic and reasoning skills. But this also should be no surprise given the state of our country currently. Unless his ears are an entire foot from the base of his neck, that does appear a likely explanation. It's pretty obvious that each of the lines represents an inch, and the top 5 is 5 1/2 ft, but you don't see the whole picture. Would anyone really think from the middle of the guy's ear to the top of his head is a foot?